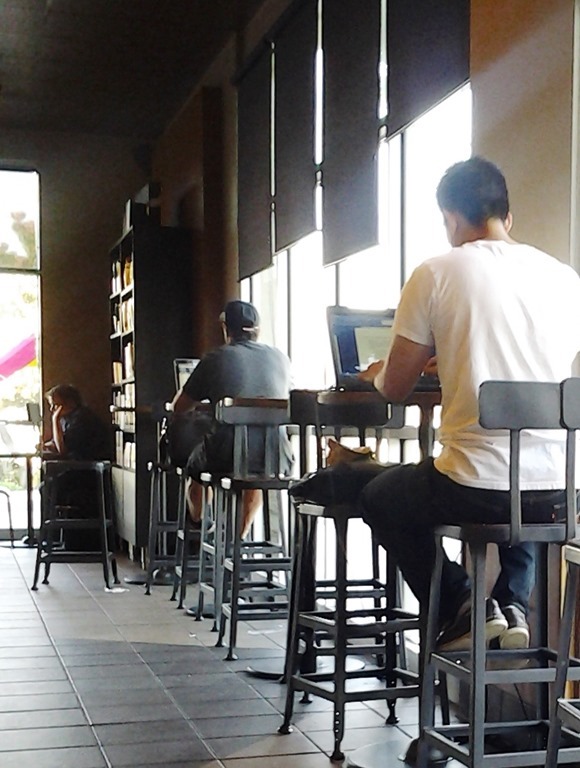 Sometimes, I go to a Starbucks to chill, maybe even to be social. More often, I’m there to get work done while under the influence of caffeine. This entry was posted in Starbucks Patrons and tagged strangers, working at Starbucks. Bookmark the permalink. 1 Response to Invisible. Please.